Kenya police release images of wanted terror attacks - SABC News - Breaking news, special reports, world, business, sport coverage of all South African current events. Africa's news leader. Kenya police have released images of the people involved in the terror attack in Nairobi. Police in Kenya have released images of nine people wanted over last week’s terror attack at a hotel and office complex in Nairobi. Among those they are looking for is a woman believed to be the wife of one of the assailants who was killed at the scene of the attack. 21 people among them a police officer were killed during the 18 hour siege. Police released a circular on Sunday night with the names of the attackers whom they warned are armed and dangerous. Meanwhile, police sources say three out of five guns used in Tuesday’s attack are similar to the ones used by Somali Security Forces. 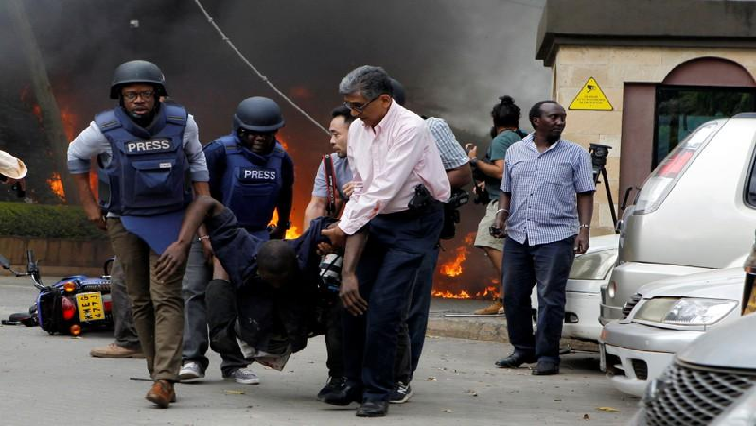 On Friday, six people were arraigned in a Kenyan court to face charges of aiding in the attack. Meanwhile, the United States military on Saturday struck an al shabab base in Somalia killing 52 militants. This entry was posted on 21 Jan 2019,12:00PM at 12:00 PM and is filed under Africa, Homepage Featured Story Slider. You can follow any responses to this entry through the RSS 2.0 feed. Both comments and pings are currently closed.